The 2019 eXploration Systems and Habitation (X-Hab) Academic Innovation Challenge supports NASA's efforts to develop technologies and capabilities that will enable future human missions throughout our solar system. In collaboration with the National Space Grant Foundation, NASA will offer competitively selected awards of $15,000 to $50,000 for the development of studies, functional products, and solutions to enhance the human exploration of space. Entries are due April 27, 2018. Inflatable/Deployable Crew-Lock to Enhance Gateway Ground Test and Evaluation: Design, fabricate, and deliver a full-scale, low-pressure inflatable/deployable structure that demonstrates a crew-lock for use in gateway ground test efforts. used filament fabrication processes. NASA seeks to develop the processes, skills, and certification framework to provide an on-demand manufacturing capability for long duration exploration missions. Passive Cold Food Storage: Design a storage system that can preserve frozen food in a deep space habitat, using the cold environment of space. Exploration Medical Architectural Design and Habitat Integration: Identify how the prevention, diagnosis, treatment, and management of defined medical conditions can be supported within the constraints of a transit habitat. Autonomous Space Biology at the Lunar Orbital Platform-Gateway: Develop autonomous robotic systems and test equipment to enable remotely monitored and controlled science investigations. Computer Modeling of Spacecraft Temperature Swing Compressor and Storage System: Develop a computer model of the Temperature Swing Adsorption and Storage System for spacecraft. Implement Advanced Sorbents: Develop a prototype unit to scrub dry carbon dioxide from air or thermally compress pure carbon dioxide for delivery to a processor low-Earth orbit. Self-Cleaning Membrane Unit: Develop a method and approach for testing commercial membrane units for humidity or carbon dioxide control against fouling and trial methods for recuperating the membrane performance. 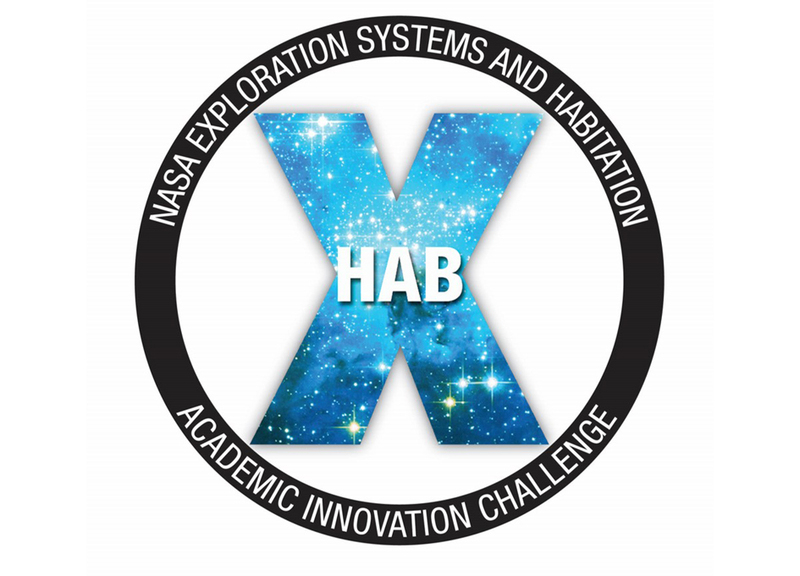 The X-Hab Challenge provides real-world, hands-on design, research, and development opportunities for students interested in aerospace careers, while strengthening NASA's efforts to optimize technology investments, foster innovation, and facilitate technology infusion. Through strategic cooperation with universities, the agency intends to bridge gaps and increase knowledge in technologies, capabilities, and operational approaches related to human spaceflight. Previous challenges resulted in products NASA tested and evaluated for use in deep space. The products and technologies developed for the 2018 X-Hab Challenge will be further refined for next-generation exploration systems, and could eventually provide the basis for future demonstrations and missions. With the President's fiscal year 2019 budget, NASA plans to extend a permanent human presence deeper into space and will build the gateway in orbit around the Moon for use as a staging point for missions to the lunar surface and other destinations. Integrated systems are needed to safeguard and sustain people living and working in space away from Earth's protective atmosphere and resources like food, air, and water. To view past NASA X-Hab projects, visit: https://www.nasa.gov/exploration/technology/deep_space_habitat/xhab.